boards, wall displays,literacy bags, classification activities, and identification games. 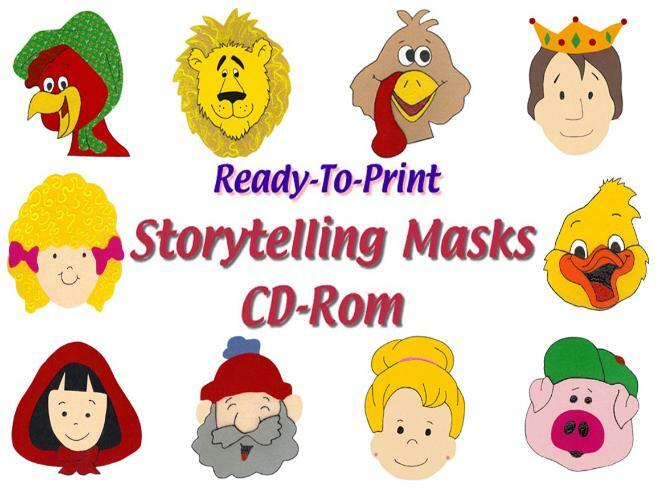 The CD-ROM does not include the stories, tales, fables, or books. It includes only the mask images. inclusion of important details, and story sequence. 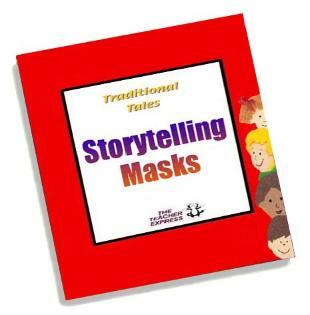 the telling and retelling of 10 all-time favorite traditional folk tales. brightly colored with easy-to-see features that capture the student's attention. the masks that you want to print. Print, laminate, and then use scissors to cut the masks out. It's that easy! be glued to popsicle sticks or tongue depressors. Eyes and mouth can be left in for a character's expression or may be simply cut out.